The final purchase from the record shopping during my recent vacation, 1984 was the most expensive of the purchases by far, going for $45 (down from $50 after a very brief negotiation with the young fellow behind the counter), which seems fair enough to me for an original mono pressing of this fine record. It was hiding among many rock LPs in the "Rare Records" section, and immediately caught my attention as I have come to appreciate the many talents of Yusef Lateef since I scored a vintage pressing of his excellent Impulse! outing The Golden Flute a couple years back to go with an earlier purchase of The Many Faces of Yusef Lateef, a 1970's double-LP compilation of The Three Faces of Yusef Lateef and The Centaur And The Phoenix. If not for the title track that opens the album, 1984 would be remembered as an excellent example of post bop as it was emerging in the mid-1960's. But, oh man, that title track: an 8 minute foray into another realm altogether, with Lateef blowing a whole array of wind instruments - some of his own making - and muttering low utterances through the large end of a cow's horn that lends the track much of it's otherworldly feel. While the composition definitely feels dystopian, there isn't any mention in the liner notes of the obvious connection to George Orwell's classic of the same name, although it's hard to believe Lateef didn't have that in mind when he named the song. The song is actually quite listenable, perhaps because it isn't as busy or in-your-face as some of the other avant-garde jazz works appearing at this time, and it helps that there some discernible harmony going on among the players. You can check out the song in it's entirety here. The rest of the album finds the group keeping their experimental side more or less in check as they run through a number of exciting originals by Lateef ("Listen To The Wind" is a stand out, you can listen to it above), one tune by pianist Mike Nock, a few standards and a version of "Warm Fire," which is billed on the back cover as "Duke Ellington's latest creation." The songs follow an advanced hard bop form, with some avant-garde and free jazz elements thrown in for good measure. 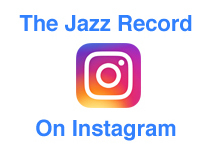 One point of interest is that the Jazz Discography Project has this album recorded at Pep's Lounge in Philadelphia, the same spot that Lateef's highly regarded Impulse! record Live at Pep's was recorded the year before. Yet, there is no mention in the liner notes that this was a live recording, and it doesn't have that feel while listening. I usually trust what the JDP has to say in these matters, so I will suppose that 1984 was recorded at the club without an audience in attendance until I find out otherwise. 1984 is an excellent addition to my (hopefully) growing collection of LPs from this important artist, a jazz cat I gain more respect and admiration for with every album I acquire. The sound quality is as awesome as you'd expect from an original mono pressing, with the players shining through bright and loud (especially Lateef's various woodwinds). The presence of "A Product Of ABC-Paramount, Inc." on the label indicates this is indeed a first pressing from 1965, although a second pressing with the "red ring" label (which may be easier to find) should have a similar level of audio quality. The vinyl has "A-84 A" and "A-84 B" in the trail-off on the respective sides. There is also the "VAN GELDER" stamp on each side, as he was the engineer for the session. The gatefold cover is pure mid-1960's Impulse! all the way, with an excellent shot of Lateef on the front and a solid colored back with a few notes promising the listener some jazz goodness inside. A nice example of the vintage art and style - along with the musical adventurousness - of Impulse! Records circa 1965.